No, no. It’s not a Rasta hat that’s on Ms. Penguin’s head. It’s a Groovy Slouch from Knots of Love! I found an organization called Knots of Love while looking for a charity to donate my money and time to this holiday season. This time of year always reminds me how blessed I am, and I feel the need to extend help to those in need. According to the Website, the donated caps are given, at no cost, to “men and women undergoing Chemotherapy, burn victims, brain surgery patients, head trauma patients, and individuals with Alopecia.” It also accepts blankets for babies in NICU. In addition to the monetary contribution, I thought this will be a great opportunity to put my knitting skills to a good use. 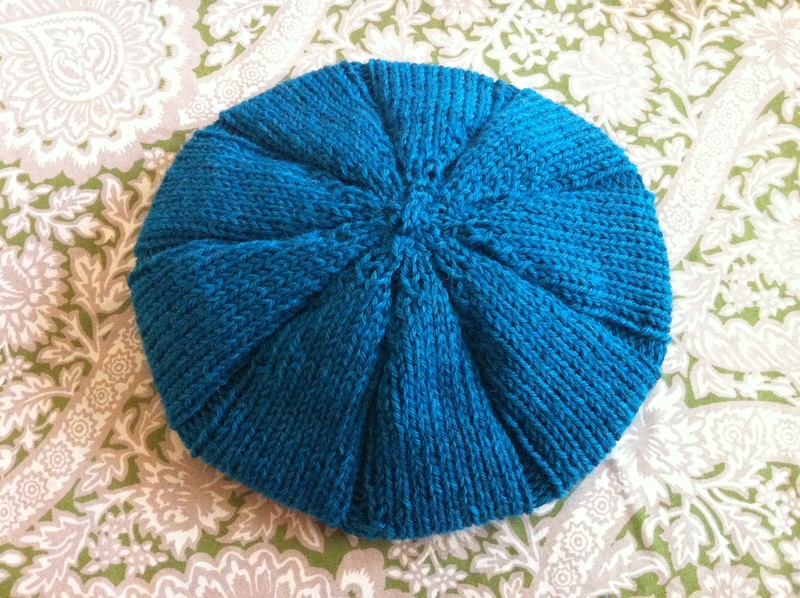 The Website has lots of lovely knit and crochet cap patterns we can use. I went ahead and knit up Groovy Slouch from the catalogue of patterns and I love it! It’s a real quick knit and I love its simplicity. Unfortunately, I won’t be able to donate this particular cap because I used a yarn that is not on the approved list, but once I obtain the right yarns, I’ll be knitting this up again. This is what the finished cap looks like. I had to get some help from the Penguin to get a good shot of the cap from the side. I used Cascade 220 yarn and it’s super warm and cozy, perfect for those chilly nights. I am touched by the outpouring of supports, warm thoughts, and concerns from my friends, after hearing about the devastating earthquakes and tsunami that hit the Northeast part of Japan last week. I am happy to report that all my family members living in Japan are all safe. I am also incredibly touched by other nations coming together to aid Japan after suffering the most devastating natural disaster in the country’s recorded history. My heart goes out to everyone in Japan that lost their lives, their family members, their pets, their homes, and everything that they spent lifetime building. I am still not able to comprehend the magnitude of this devastation and every time I see the horrific footage of the earthquake, tsunami, and their aftermaths, I still feel like I’m watching a scene from a movie. And it’s even more terrifying to think that this may just be the beginning. Although we can’t help but to feel powerless in the situation, there are many things that we can do to help. I am leaving a link that shows several ways you can help. I hope all of you who stumble upon this blog can open up your heart and help out the victims become survivors. Before I go, I decided to share with you a photo of a cabbage I had for dinner the other night. If you look closely, you will see that it is smiling at me! I like to think that love is all around us, and we need to appreciate every minute you have on this earth. Please pick up a phone today and call your parents, your brothers and sisters, your friends, and all the love ones, even if it’s just to say hello.